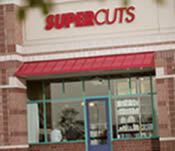 If you are looking for information on the Supercuts franchise business opportunity, Supercuts franchises or Supercuts franchising, then you have come to the right place. By tapping into the male market, Supercuts has taken the value salon sector by storm. "Every time we open a salon, it's like winning the lottery. With Regis behind us, we have a world of resources at our fingertips so we can succeed."